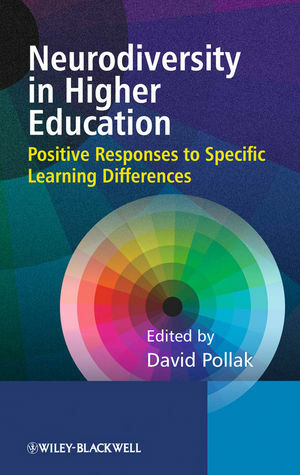 Dr David Pollak is Principal Lecturer in Learning Support at De Montfort University. He runs the highly successful website brainhe.com. He has specialised in neurodiversity such as dyslexia for over 30 years, and is a UK National Teaching Fellow. 2. Neurodiversity, disability, legislation and policy development (Alan Hurst). 3. The psychological assessment of neurodiversity (David Grant). 7. Asperger Syndrome: empathy is a two-way street (Nicola Martin). 8. Attention Deficit (Hyperactivity) Disorder - AD(H)D (Mary Colley). 9. Mental well-being (Kitty McCrea). 10. Assistive technology (E. A. Draffan). 11. Teaching, learning and assessment: "It’s not like you think" (Heather Symonds). 12. Conclusion: linking the strands together (David Pollak).